Yoshoku (western food) it’s a hybrid of western and japanese cooking, which is unique to Japan. These are western dishes matched to japanese taste. Yoshoku cuisine has existed for 150 years now. At first glance many dishes look Western but the recipes were developed in Japan. The most popular yoshoku dish is curry rice, which originally arrive from India. Now it’s known as Japanese food around the world. Japanese people eat curry around 80 times a year, so it makes Japan one of the world’s great curry consuming nation but yoshoku curry rice is very different from Indian curry. Instead of being spicy curry it’s sometimes sweetened with honey, especially when served to children. Another very popular dish is omurice. The name comes from the words omelette and rice. Rice seasoned with tomato ketchup is served with thin omelette on top. 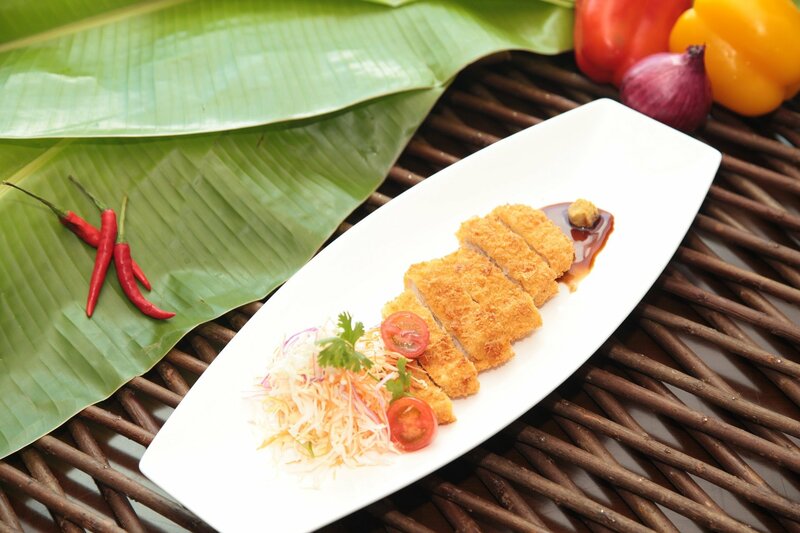 It can contains chicken or ham, onions, and other vegetables like for example peas. Yoshoku dishes are often combined together on the same plate. The serving of omurice may be topped with another yoshoku a hamburg steak or breaded deep-fried pork cutlet – tonkotsu. If the curry sauce is added you can enjoy three yoshoku dishes in one meal. Yoshoku meals are often served with rice, which is the center of the japanese diet and the yoshoku plates are considered side dishes to go with the rice. Compared with traditional japanes cuisine yoshoku incorporates much more meat and eggs. The Great Kanto Earthquake of 1923 destroyed most of Tokyo. It played an important part in the history of yoshoku. As Tokyo has gradually rebuilt many new yoshoku reastaurants were constructed. People’s daily lives became more westernized and yoshoku restaurants spread throughout the country. But yoskhoku was still considered for special occasions to be eaten at restaurants. Few families prepared dishes like this at home. People began to prepare yoshoku at their homes after Second World War, when a lot of children suffered from malnutriton. The occupation forces policy of promoting Western foods focus the spotlight on the high protein nad high calorie benefits of yoshoku cuisine. The 1950s was a time od economic growth, when the quality of people’s live improve rapidly. Tv programs introduced many yoshoku preparations, so everyone started prepare yoshoku at home. 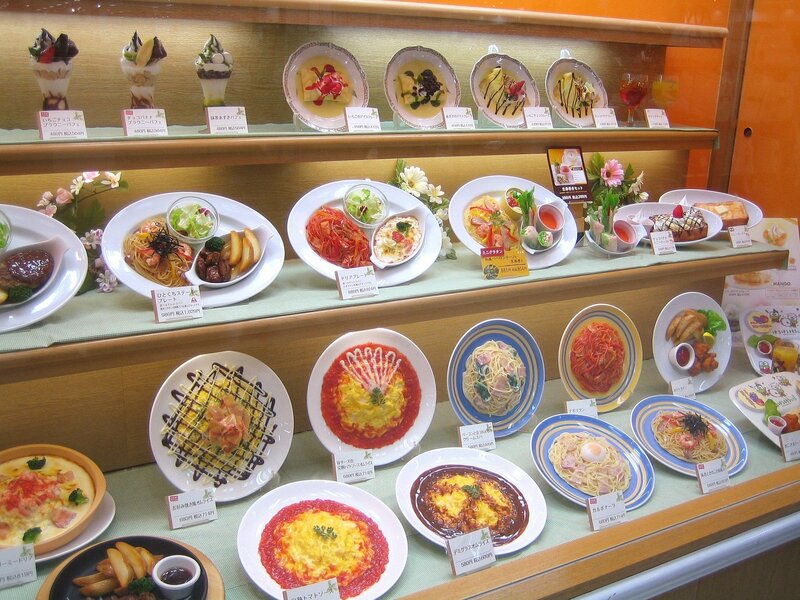 Yoshoku restaurants often have window displays with models of food that they offer. The model fashioned out of wax or plastic are very realistic and make it easy to see exactly what’s on the menu.Models like this dated back about 70 years when yoshoku was still exotic for Japanese customers. It was a way to help them understand what would be on the plate. 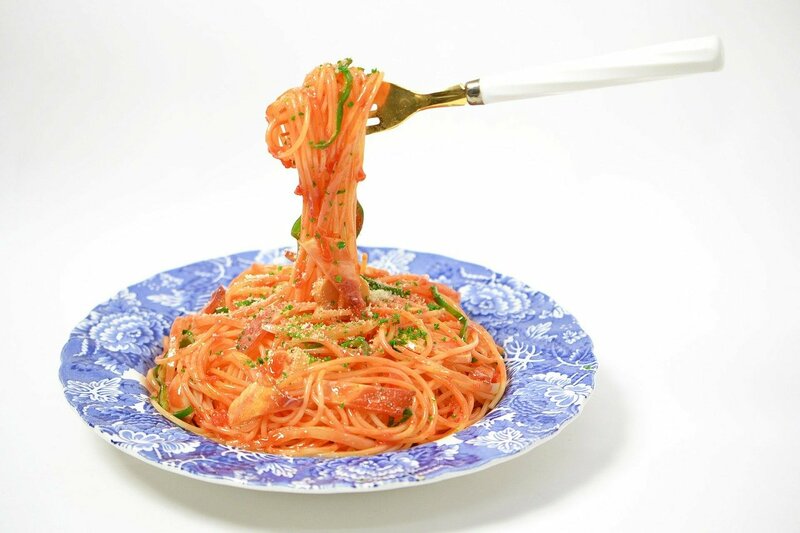 Now you can find original french or Italian cuisine in Japan, and yoshoku has become Japanese cuisine. Tomorrow I will give you a recipe for a simple and quick yoshoku dish, which can also be prepared in the vegetarian version.